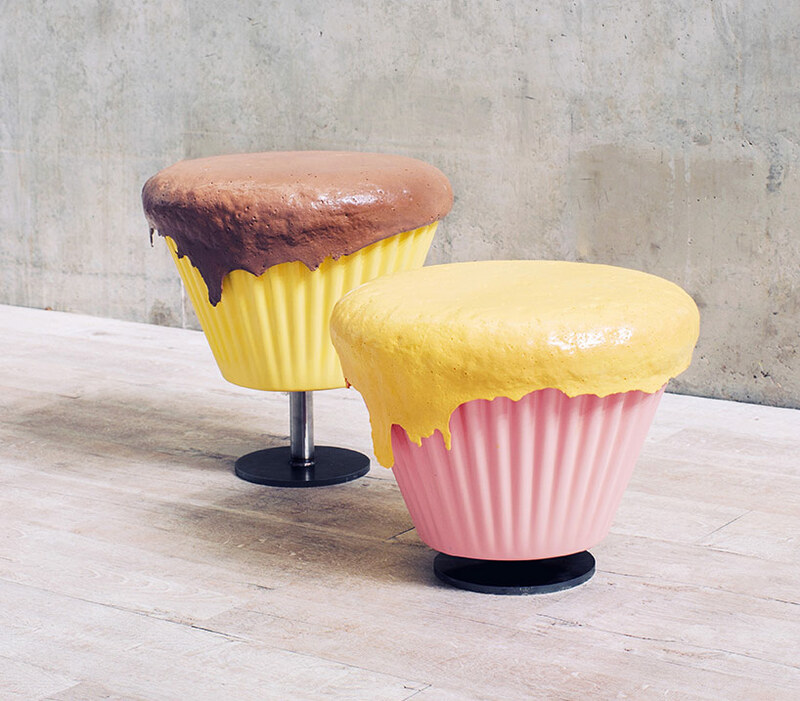 Sweeties comfort furniture series by Boggy Chan. playfully enlarging sweets typically made from flour and dough into a real-life furniture, designer boggy chan has created this series ‘sweeties’. 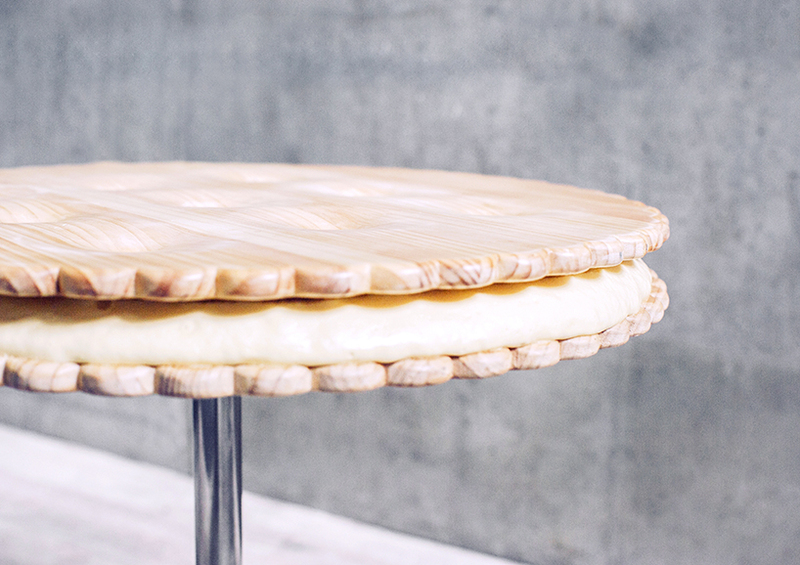 the cupcake stool and biscuit table were based on the concept of playing with food, discovering its texture, smell and touch of the ingredients and turning it into a design object. the exploration of these sugary treats revealed that sweets and furniture share similar properties, they both have characteristics of comfort. combining an enthusiasm for food with industrial design, the yummy items were scaled-up to their correct proportion. 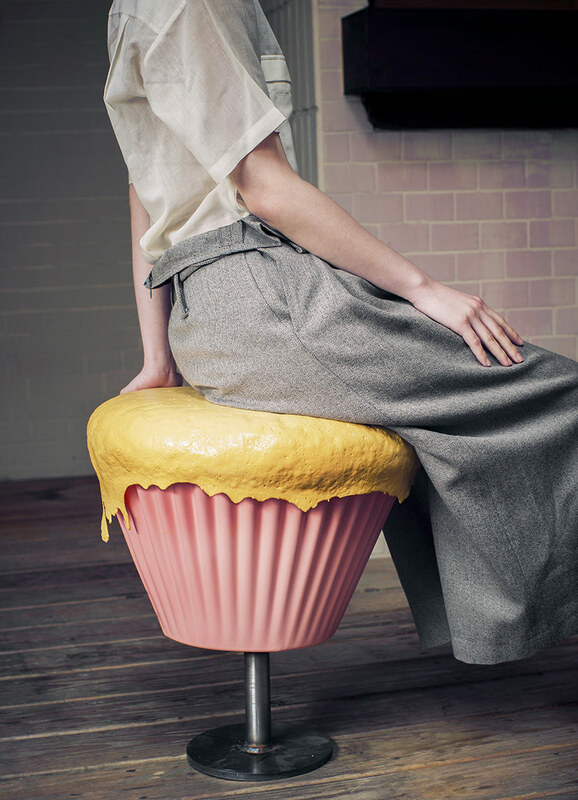 the series features a cupcake stool with an adjustable height that can move from 30cm to 50cm depending on the user or occasion. constructed mainly from sustainable polyurethane the curved edges of the cupcake’s ‘melting’ icing were formed naturally by gravity.